Lemme try out E. Tutor over C. Ball and let you know how it went. Cheers. hkhssweiss Thanks for your inputs and good analysis. You're right about Enlightened Tutor . I categorised Crystal Ball as top of library manipultion instead of tutor so they serve slightly different purposes. If I want to include E.Tutor, the Ball or Preordain would be on the chopping board as they're the weaker cards among the list of 12 top library manipulators. Heya Cloudius in regards to your previous post. 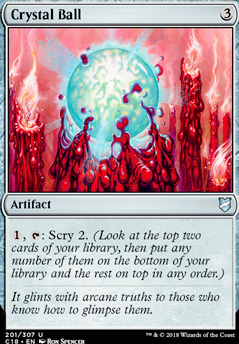 I would definitely support Enlightened Tutor into main board, the cut I would consider would be Crystal Ball . A couple reasons why is that you would have access to Scroll Rack as well, with the amount of fetches you run you can essentially manipulate your library as well. Not only that a T1 E-tutor can grab you any of the fast mana rocks as well. If you have access to them you can grab Sensei's Divining Top and continue your manipulation. It also adds to the consistency of what you can grab and opens up many lines of answers for you and streamlines the deck even more. In retrospect the Scry 2 from Crystal ball is decent but you have to pay than an additional before you can gain use of it. 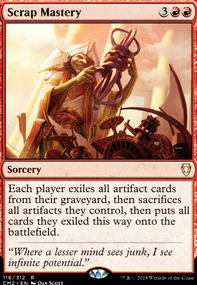 As of late ive been noticing Chalice of the Void being built around in pyro prison decks designed to hose the 1-2CMC slots (depending on the deck). 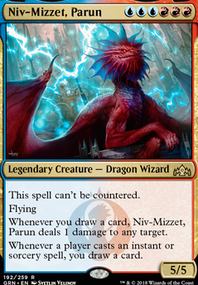 I am curious to know what people think about the idea of running Counterbalance in Modern to act as an asymmetrical Low Avg. CMC punisher card.... 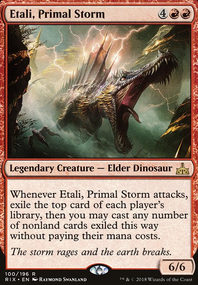 In the right shell (Like Spirits/Faeries); could this be good tech against things like Burn/Aggro and Tempo decks? 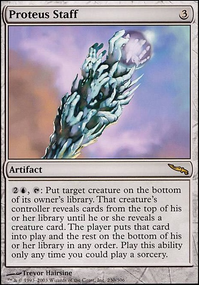 I know that Counterbalance had/has a lot of power in Legacy with so many relevant spells costing 1-2 mana and was given a lot of help with copious amounts of topdeck manipulation/ Sensei's Divining Top . 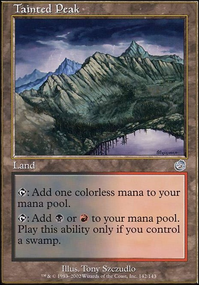 But could Counterbalance still be worth building around in an attempt to mimic Chalice of the void in a strategy that uses cheap spells and creatures just by itself? 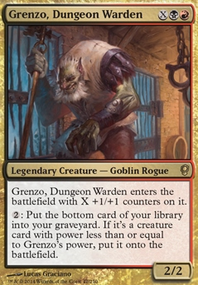 It seems like a solid card if you get it out early and it stays out for most of the game; you'll probably end up countering at least a few spells .... or would Crystal Ball /imitation Top/Topdeck manipulation or tutor be required for this to be worthwhile/work.